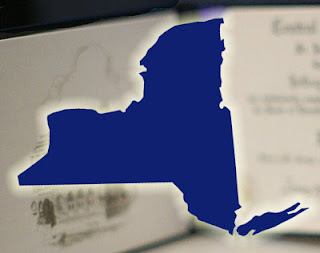 As graduation approaches for high school seniors, it is important for parents and students who will be in high school next year to be aware of significant changes to the diplomas available in New York State for students with learning and related challenges. We last wrote about changes to New York diplomas back in May, 2011. For many years, New York had a three tier system for diplomas: students could earn a Regents diploma (and later, a Regents diploma with honors) by taking and passing a series of Regents Exams; for students, including those with Individual Educational Programs (IEPs), who could not meet the challenge of Regents Exams, there were Regents Competency Exams, which were less challenging and which led to a "local" diploma; and, finally, for those students with significant learning difficulties who could not manage even a local diploma, there was an "IEP Diploma" which was not really a diploma at all, but a certificate that simply noted that the student met the goals set forth in his or her IEP. As states, including New York, worked to raise standards for all students, the Regents Competency Exams were eliminated. Students with IEPs could still earn a local diploma by passing a lesser number of Regents Exams with lower scores than typical students. This option remains in place for the time being. More recently, notice was given that IEP diplomas were being eliminated, and the Board of Regents has put in place a temporary replacement in a credential they call the “New York State Career Development and Occupational Studies Commencement Credential.” Like the IEP diploma, this certificate of graduation is not a diploma. The position of the Board of Regents is that this certificate will be more meaningful than a IEP diploma, because it will indicate what courses a student has completed towards occupational competency. Some parents are concerned that employers will not consider this any differently than an IEP diploma -- neither is actually a high school diploma -- and will not hire students who can present only this credential. The New York State Board of Regents notes that the new credential is in place only temporarily, "in order to ensure that the proposed credential is available to students with disabilities effective July 1, 2013 when the regulation providing for an individualized education program (IEP) diploma sunsets." There is information available on the Board of Regents website about the ways this new credential was developed and how it is expected to impact students. There is a comment period, ending June 7, 2013, for the public to let the Board of Regents know what they think of this new credential. Click here to obtain the comment form.